When Klaus and Marcel are hanging out they get attacked by the humans. Marcel angered by losing his friends, tells Klaus to cool it and they decide to massacre the humans in charge for what they’ve done. As so they do. Lesson learned? Now Davina is going to be moving to Klaus’ new home, Marcel thought it was dangerous but then Klaus told him about Davina’s secret plan with Elijah. While Davina is moving in Hayley confronts her and tells her that if she’s so powerful why does she have to be hidden? She then tells Davina that the witch Agnes is dead and Davina says that if that is true she is safe, being that Agnes was the last living elder. Josh the vampire is in hiding from Klaus but as Davina’s bestie she won’t let anything happen to him. As she gets confirmation from Josh that Agnes is dead she gets that Marcel is using her and that she needs to get out of there. Now there is something mysterious about this new clan of werewolves that have come to town. Elijah, being so dreamy and handsome and charming and charismatic…um oh yeah what was I talking about? Oh yeah the special wolves, one carried a special ring with history, a very interesting history. Turns out that particular clan is related to Klaus and could be the lineage to Klaus’ father and family. Klaus says he’s had enough of family in his life and leaves them. Can I say how much I die for Elijah and Hayley? It’s like, “Can you kiss already?, Can you be together?” In the end we have Elijah, noble Elijah tells Klaus that he is sorry, sorry that he thought he had alternative motives with the birth of his child. While it is not easy for Elijah to say that he is wrong, Klaus recognizes this and for a moment we have perfect peace. Klaus has already asked Father Kieran to protect the new werewolves which makes us think there is a soft side inside Klaus. But this moment with Klaus and Elijah is just perfection. As Klaus departs he tells him that he and Rebekah are welcome to come and live with him, he says, “It is after all our family home”. As we come to a conclusion of the mid-season finale we see dear Cami getting ready to leave and start a new life. But Davina comes to her apartment and Cami has no idea who she is. Davina tells her she’s been compelled and that the next step she is going to do will hurt her. The episode ends with Davina bringing back all of Cami’s forgotten thoughts and memories. 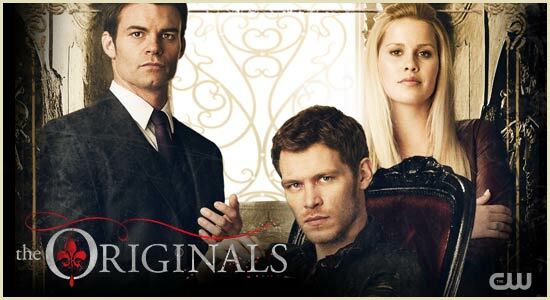 The Originals return Tuesday, January 14 on the CW.